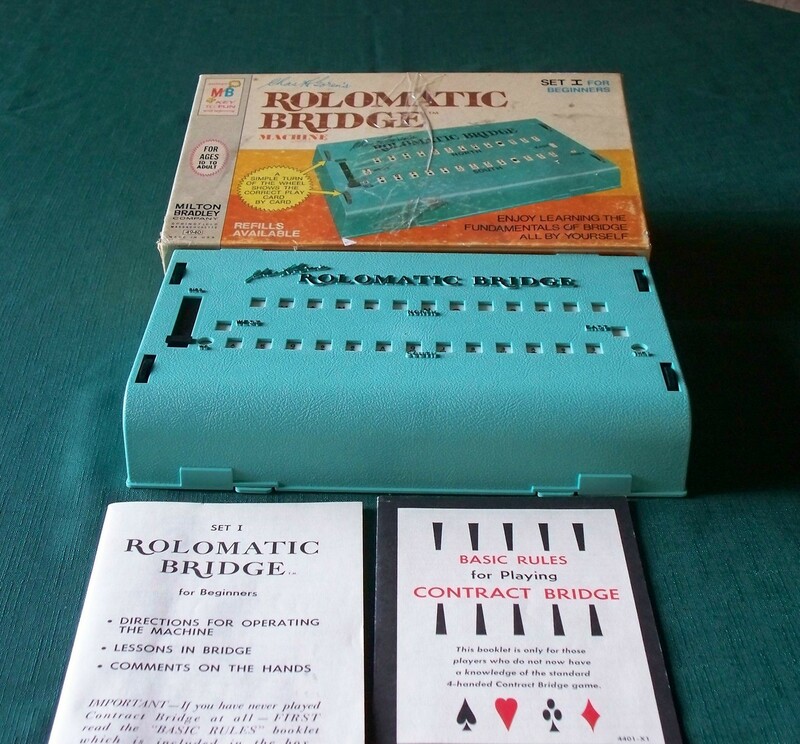 This is a 1969 Rolomatic Bridge machine by Milton Bradley, Written by Charles H. Goren. This is Set I for Beginners. Box has clear tape that runs the around it and shelf-wear. Contents are in very good condition. Ship to U.S. addresses only.